Whomp whomp. There're no Optimus Primes for sale. 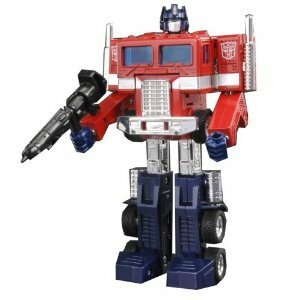 Transformers music label Optimus Prime is a reissue of G1 Optimus Prime with a grey trailer that is a working iPod speaker dock. He is colored to emulate the original G1 Optimus Prime color and look.